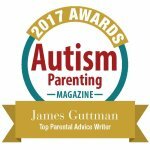 Autism And My Child’s Uncertain Future – Hi Blog! I'm Dad. A lot of the things I can worry about aren’t worth worrying about at all. In many cases, it’s just a game of panic for the sake of panic and, at the end of my story, it all just works out. Whether it’s a task that needs to be accomplished or an errand that needs to be run, I eventually scratch them off my things to do list and move forward. When you have a non-verbal child with Autism, you could find many of these throwaway stresses along the way too. Whether it’s how he’ll behave at a party or when he’ll grow out of a phase that’s driving me crazy, so many of the concerns I could have for my son all work themselves out. I’m able to brush those worries aside because I’ve learned that, well, there’s no point in worrying about them. They work out. Even when they don’t, they do. There is, though, one thing that still weighs heavily on me when I think about it. It’s a concern that blankets so many other concerns and wraps itself up into a giant worrisome package. It’s something I thought about when he was first diagnosed. It’s something I thought about last year. It’s something I thought about this morning. What is his future going to be like? The truth is, I don’t know. That’s scary. In a world where I, as a father and as a person, strive to know as much as I can about every situation I encounter, I rarely can reply with a solid, “I don’t know.” Doing so for this, one of the biggest questions hanging over my head, feels overwhelming to think about sometimes. It just seems like such a wide open array of possibilities. He might be able to have a job. He might not. He might be able to get married. He might not. He might live alone. He might not. It goes on and on and includes any possible life choices ahead. Basically, my son can be anything, but he might not. Right now, as he sits in my living room at seven years old, I can’t predict any of these answers. Not one. It’s scary to think about and, to be perfectly honest, there’s no words that can make this uncertainty any more certain until we get there. There’s no way to brush aside the anxiety that comes from an unwritten destiny for the little guy I would give the world for. I can, however, take my own personal experiences and realize that the uncertain future, while definitely uncertain, doesn’t have to be bad or scary. In fact, given the roads I’ve taken in the past few years, I have proof that it’s not. For starters, everyone’s future is uncertain. In 2012, I had a surprise quintuple bypass at the age of 35. I had never had any outward health issues and all of my doctor’s appointments ended with a lollipop and hug. Yet, there I was, getting wheeled into an operating room for the first time ever on four hours notice. I’ll never forget what the doctor said to me. You know those perfectly healthy guys who just suddenly drop dead of a heart attack at 40? That was going to be you. I learned a lot about uncertain futures that day. When you think about it, you can’t predict anyone’s future, much less my son’s. I don’t know the world he’ll be living in or the person he’ll grow to be. Sure, his future may have many more possible pitfalls than others, but he’s not the only one. There are plenty of tough situations that could be on the horizon for any of us. And even if he hits a worst-case-scenario here and there, we’ll barrel through them and keep moving forward. Whether best case or worst case and for any member of our family, that’s what we’ve been doing this whole time anyway. The second thing that softens the stress of my son’s impending adulthood is the simple fact that I’ve been doing the future-worry game his whole life. Since the day he was born, I’ve been timidly tiptoeing ahead with each passing day. When he was two, I could never imagine five. When he was five, I could never imagine seven. Now that he’s seven, I can’t imagine anything that comes after. Yet, here I am at seven and he’s fine. He’s Lucas. That stomach-churning worry never manifested itself into something real. I know that for a fact because I’m now living in the future that I had dreaded two years ago. Yet, for some insane reason, I’m still worried about what’s coming around the next corner…even though every corner I’ve nervously crept around up until now has turned out fine in the long run. The thing is, when I envision that distant date in my head with a grown-up Lucas, I see a hazy scene. In many cases, it’s a worst case scenario. It can seem dark, dire, and completely foreign to me. My brain imagines it that way. Then I realize that it won’t be like that if and when we actually get there. It will be like, well, now. There will be colors, feelings, and moving parts. The craziest part? It won’t be the future any more. It will be the present. I know what that means. It means that I will most likely be content in that moment and worried about whatever further future will be in front of me then. It shows how life is just an endless stream of always dealing with the present and being scared of a future that never arrives. It also makes you realize that there is no future. No matter the year, it’s always “right now” once you get there. Although I still sometimes worry about what’s to come, that is sometimes enough to ease my mind. Autism can have some unique challenges, but worrying about where your loved one will be in ten or twenty years isn’t one of them. We all want the best for those around us. Sometimes the stress of that can feel all-consuming and you just need to take a step back to remember where you are. Don’t let the worry for a future that’s never here stop you from appreciating the present which always is. The future for your son isn’t going to be as bad as it would have been in the past. A lot of research has come through over time, as has a lot of technology. The world of aac gets wider every day. If you haven’t checked out your state’s assistive technology program with him yet, I recommend that you do so as soon as you can. There are devices that will allow him to communicate, not just with you and his other family members, but the world at large. It might be as simple as pushing a button, or as robust as a full-on iPad suite of communication apps, but he has options to choose from.